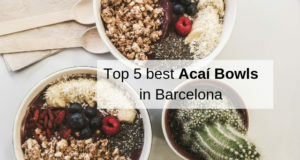 Barcelona is often known for its more traditional places but if you’re really looking for an out of the box experience there is so much more for you to see! There are unique, and extravagant themed spots throughout the city ready to transport you into another world. 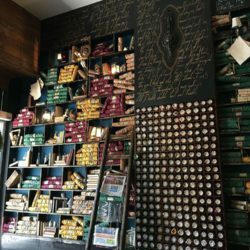 You are able to find many thematic restaurants, bars, and clubs in Barcelona, from Harry Potter themed lunch at Pudding to a glam night out at The Gatsby. 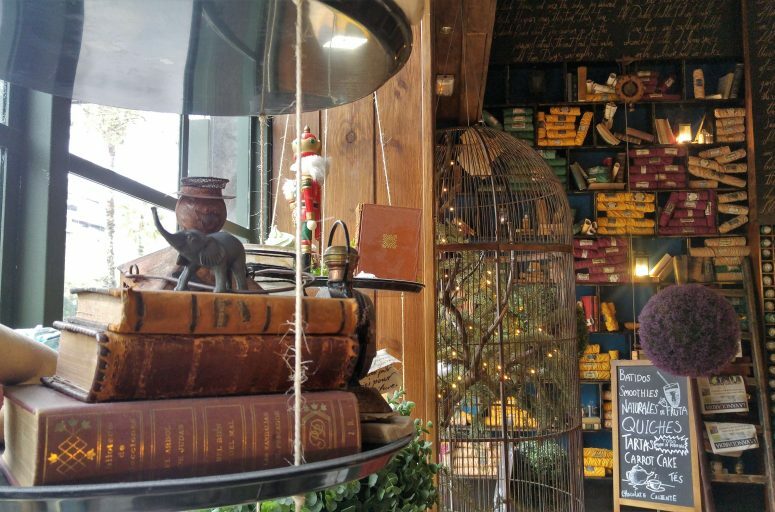 Checking out our recommended themed spots will leave you wanting to see more. 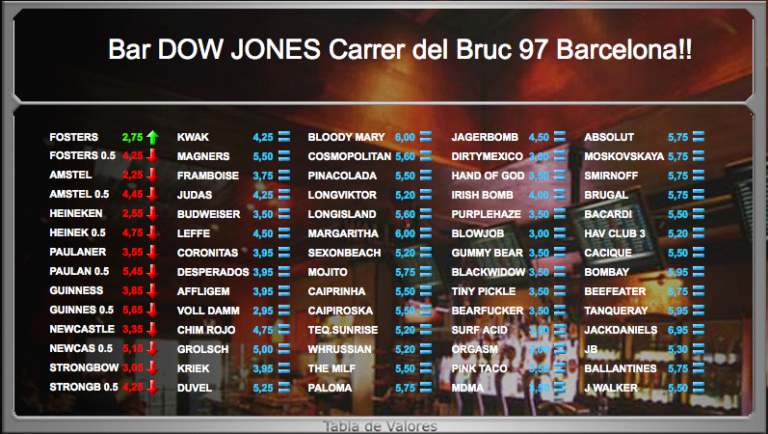 Bar Dow Jones is a bar with a totally new concept! 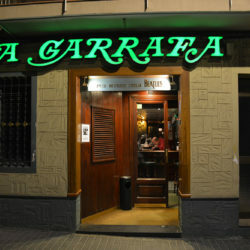 This big bar, located at Carrer del Bruc 97 in the neighborhood of Eixample, uses a special software as selling systems which is completely interactive. As soon as you order a drink, prices on the screen change. The drink that you order goes up and others go down. It is just like the NYSE (New York Stock Exchange). 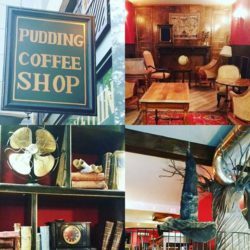 Pudding is The New Generation of Coffee Shops, it works in a completely different manner than traditional coffee places. They’ve designed a concept for various target groups; kids, students, young professional. The concept is formed by 3 main objectives they provide, formulated as Eat+Play+Think, this all within a singular space conveying passion for who they are and what they do. With a witty and delicious menu based on many themes, you are for sure to enjoy your visit. 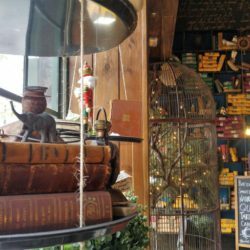 For Kids, for example, they offer the possibility of having your own personalized themed party with themes such as Harry Potter, Pirates, Sherlock Holmes and more. Pudding offers the whole package the theme, invitations, decorations, and food. Other than that you are able to organize any type of event with the company’s services. The very popular Harry Potter setting of Pudding is in Barcelona and located in the heart of the city on Avenida Diagonal 515 in Eixample waiting for you to come and discover its magic. Pudding hopes to inspire and create magnificent ideas, events, and experiences. Since November of 2007 Ice Barcelona has become an absolute must see of Barcelona. Frequented by tourists as often as is it by locals, the Ice Bar is a perfect place to enjoy a unique and charming experience. 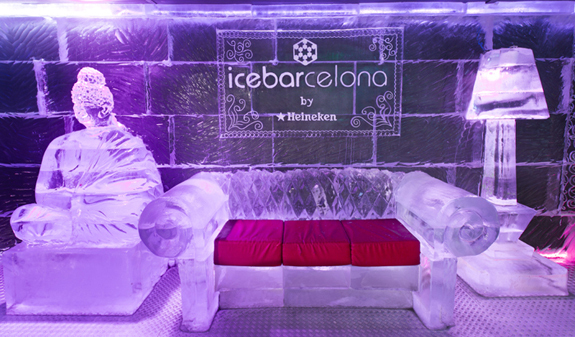 The Barcelona ice bar is the first ice bar in the world to be located right on the beach! The exceptional attraction features exceptional ice sculptures and a terrace, ideal for sipping a cool cocktail in front of the mediterranean sea. The ice lounge maintains a consistent temperature of -5ºC (20ºF), and was designed by renowned artists. Twice a year the theme of the bar transforms to ensure that your visit is always unique. Your visit includes jackets, gloves and cocktails served in a glass sculpted by ice, most visits last around 45 minutes to an hour. It really is a special experience worth checking out! 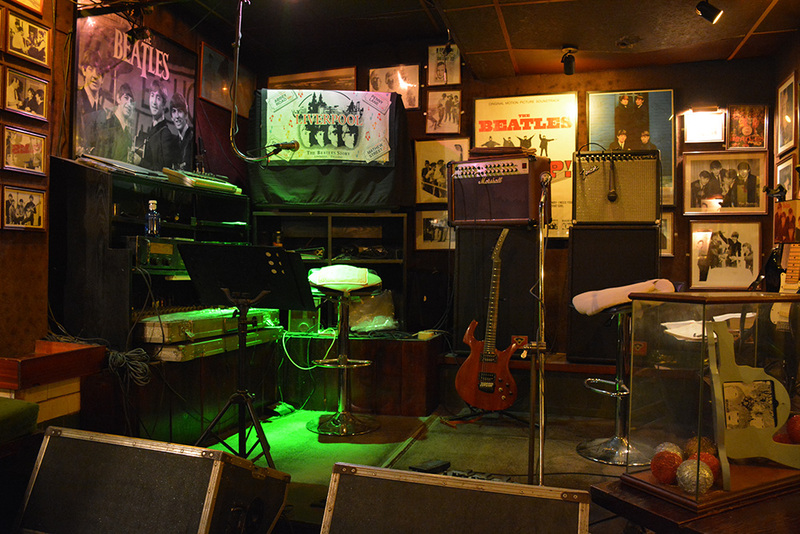 In the neighborhood of Les Corts, you are able to find a curious place where the music and the spirit of the Beatles are still alive, a space perfect for lovers of the Beatles and the music of the 60’s in general. 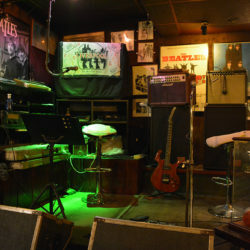 The Garrafa dels Beatles is a Pub Museum founded in 1976, and since its owners (Joan and Ricky) have been collecting photographs and objects of this famous band. The walls are full of photographs of the Beatles , album covers, key rings, miniatures, 1965 tickets when they played in Barcelona (the only concert done in Spain), a small bag that houses real dust from the Cavern Club (the London venue where they began to play), a miniature version of the “Yellow Submarine”, and many more objects. But one of the most notable is the marriage certificate of John Lennon and Yoko Ono. 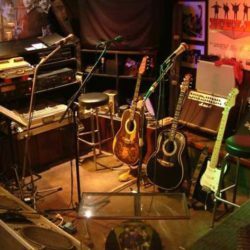 Every night from Monday to Saturday, the two owners perform the classics of the famous band and other songs from the 60s. Other artists also perform, recalling and honoring the music of those years. 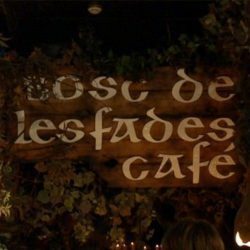 Right off Las Ramblas, next to Museo de la Cera, there is a very small alley with a Shakespearian, tavern-like wooden sign on which is carved: El Bosc de les Fades. From the outside, you are able to see windows with paper butterflies and grasshoppers. Once inside those heavy wooden doors, it’s like being transported into an enchanted forest with the view and sound of a small waterfall and an open room which looks like rich families tent. Dark, chunky trees are everywhere, the ceiling is filled with fairy lights giving it a majestic look. Different rooms are set in a different Themes, it is full of places where you can have a quiet drink, as a couple or as a group. Known for its special decor with Dwarfs, waterfalls, a bedroom with a woman levitating in a corner and so many more details that will take you to this fantasy world. Let’s not forget to mention the soundtrack, which imitates the sounds of the forest with sounds of crickets and other nocturnal animals. 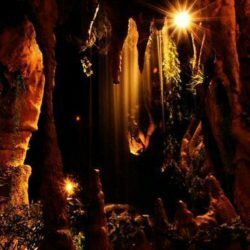 For visitors who want the full-immersion effect of this place, there’s the private grotto where they can get lost in the very depths of the mysterious forest. And if you’re looking for a creepier fantasy setting, El Bosc de les Fades also features a “haunted house” room complete with eerie mannequins and a magic mirror in which apparitions suddenly appear and then vanish. 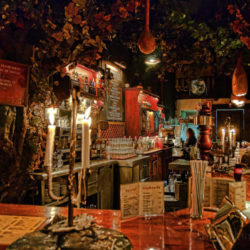 The place serves tapas, sandwiches, coffees, soft drinks and, if you are more interested in the nightlife, you can choose from a varied selection of cocktails. This Themed venue celebrates the roaring 2o’s inspired by F. Scott Fitzgerald novel that created one of the most emblematic figures of the 20th century in American literature, Jay Gatsby. The Great Gatsby, a millionaire who amassed his fortune by buying and selling illegal alcohol, hosted memorable parties at his estate on Long Island, in the state of New York until his luck finally ran out. 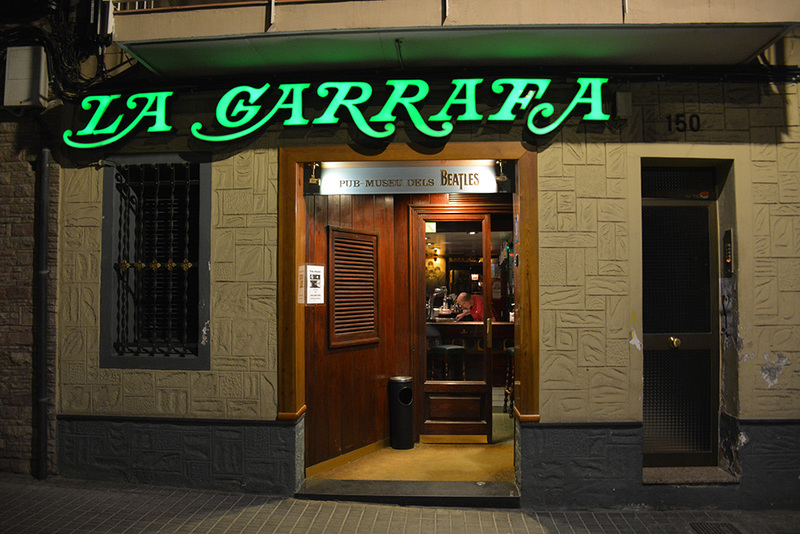 This fictional character provides inspiration for Gatsby, the latest addition to Barcelona’s restaurant-club scene. 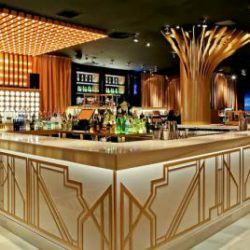 As the clandestine bars of the prohibition era could be found in unexpected places, so too with Barcelona’s Gatsby which is accommodated within a shopping center off C/Tuset, one of the areas of the city that offers more nightlife. Such as Bling Bling, Ajoblanco, and Sutton. 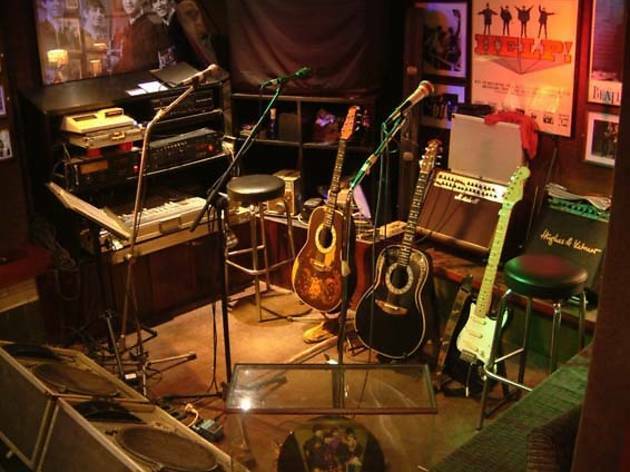 The club consists of a large open space divided into different areas, with an elevated platform for performances, located directly behind a cocktail bar at the entrance. A central court dominates the space with sidewalks and a series of private tables organized around. The decoration is a modern imitation of the Art Deco style with some more contemporary details of light with lots of gold and white tones everywhere. The architects Daniel Poch and Alexis Cogul of the Danda studio, together with the project executor Manuel Guerra, are responsible for the architectural project and the interior design. The power of the architectural project lies mainly in the surprise factor of finding such an unexpected space within the shopping center’s location. 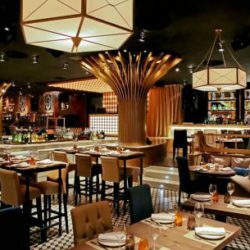 Aside from the nightlife aspect, the dining experience of Gatsby Restaurant is also noteworthy. It is both avant-garde and cosmopolitan. The chefs have created a beautiful menu, mixing contemporary cuisine with classic Spanish dishes, served with cocktails and wonderful wine pairings, meanwhile delighting you with their live show. Gatsby Barcelona offers a glamorous and unique night while you dine and dance. 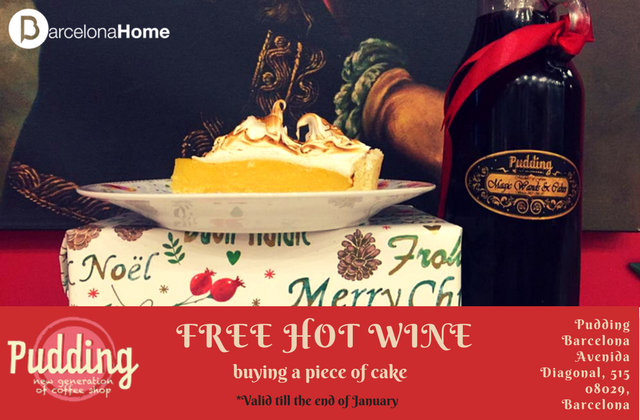 Are you in Barcelona during the holiday season and looking for something out of the box and cool to see, well Pudding is just the place! 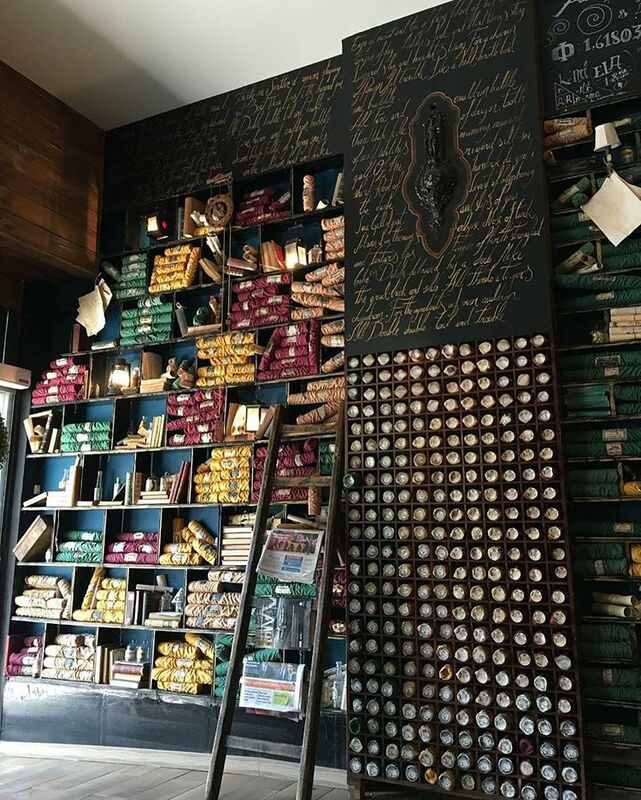 Drop by their Harry Potter themed cafe and enjoy all the perks of the magical world of Hogwarts with a complimentary Wine with the purchase of a slice of their delicious cakes. Don’t forget to bring this coupon with you! 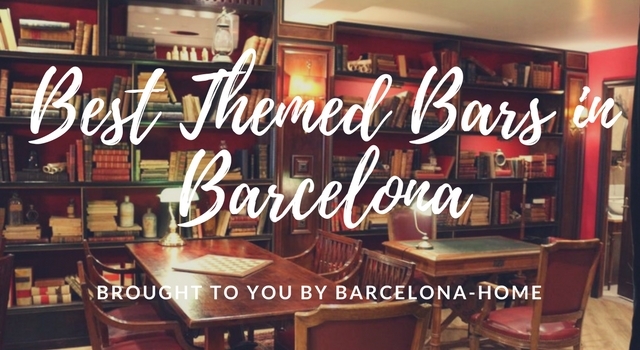 Planning a trip to Barcelona and still haven’t found a place to stay? Look no further! 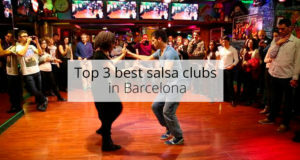 Next: Barcelona Attractions Perfect for Your Visit! I haven’t heard of any of these bars! Will try one for sure as themed bars can be pretty fun thanks! El Bosc de les Fades sounds amazing! Thank you for the tip, I will try it out.